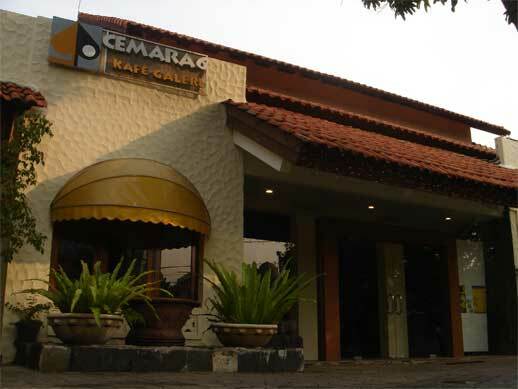 Cemara 6 Galeri founded by Prof. Dr. Toeti Heraty N Roosseno, in 1993. The Gallery has a main exhibition hall, a back yard for art and cultural activities such as discussions, video art presentations, performances, poetry readings and other cultural activities. A café and an intimate homestay are attached to it. The special programs of Cemara 6 Galeri has dominantly been conceived conceptually so that the relation between art and society, between Culture and our basic rights and human capacity to express ourselves freely and creatively are emphasized; through active promotion and having a large and broad audience who frequent the exhibitions and special events we hope that the message also reaches the audience. Cemara 6 Galeri focuses also on the promotion of emerging artists, through group and solo exhibitions, and hereby emphasizes the importance of cultural exchange and an International network. The gallery has been actively organizing and participating in international art exhibitions, a.o. in The Netherlands, Italy, Spain, Bosnia Herzegovina, Japan and Canada. 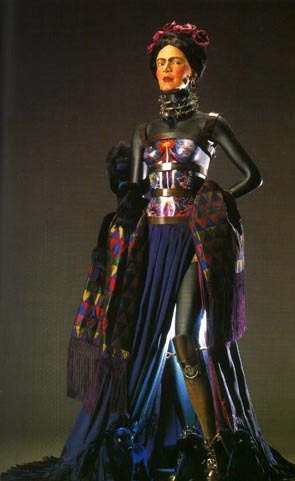 In 1996, the Gallery coordinated a Cultural Exchange Program including a process oriented workshop and a group exhibition of Indonesian and Dutch artists, co-organised by FINED (Forum Indonesia Nederland) and FNI (Forum Nederland Indonesia)” at the Erasmus University – Rotterdam. In the same year Cemara 6 Galeri also co-ordinated the Indonesian Pavilion at the Venice Bienniale, “Modernities and Memories, Recent Works from the Islamic World”, which was organised by The Rockefeller Foundation and the Jakarta Foundation for the Arts. In 1998, Cemara 6 Galeri organised the prestigious art exhibition of the works of 16 Indonesian women artists “Women in The Realm of Spirituality” at Pontifical University of Gregoriana, Rome – Italy. In 1999, the gallery co-ordinated the art exhibition which was held parallel to a symposium about Human Rights and Humanitarian Crisis in Indonesia: “Against Impunity”, Rai Congress Centre Amsterdam. Cemara 6 Galeri also has a private collection of works by famous Indonesian artists, collected through the years by its founder Prof. dr. Toeti Heraty, featuring a permanent collection of more than 60 Indonesian well known artists such as Basoeki Abdullah, S. Soedjojono, Srihadi Soedarsono, Popo Iskandar, Affandi, Mochtar Apin. And there is also a special room with around 50 paintings of Salim, an Indonesian painter who has been spending most of his life in Paris. This private collection was shown in 1995, “Choices of the Heart, Modern Indonesian Paintings from Toeti Heraty’s Collection”, at the Museum voor Volkenkunde in Rotterdam, The Netherlands. One of the works from the gallery’s collection “Raden Ayu Oentari Roosseno”, painted in 1938 by Basoeki Abdullah had been shown on the traveling exhibition in Japan from May to November 1997 at the Fukuoka Art Museum, Hiroshima Prefectural Art Museum, Shizuoka Prefectural Museum of Art, Tokyo Metropolitan Teien Art Museum. Recently, another gallery’s collection : “ Boat” a painting by Indonesian Maestro Mochtar Apin also loaned by Fokuoka Art Museum, Japan. The work included for exhibition “ Asia Cubism”, which travelled to Singapore.